A website of an organization not just marks its presence online, but also provides important information to potential customers. It doesn’t matter how attractive a website is, it is beneficial for a business only when it has a reputable position in search engines. 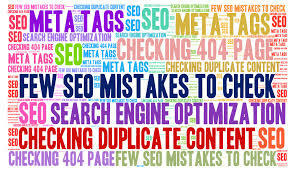 The position of website over the search engines can be improved through on-page optimization measure. It is the right combination of various procedures and measures that help in improving a websites position on different search engines. It can be done by making a website attractive and with easy to navigate features for online users. 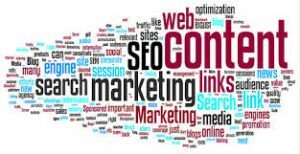 In addition, it should be with detailed information about company’s services and with fresh content. Apart from that, various other procedures are followed to make on-page optimization a great measure. Step 1: While posting unique and easy-to-read content on the company’s website, it is necessary to use the right keywords. There should be one primary keyword and one variation of that keyword. This method is applied to every page of the website. Step 2: There should be a well-researched page title with primary keyword. Every page of the website must have unique title. Step 3: Meta description should be added under the Page Title. Meta description is necessary to get the website in Google search results. Step 4: URL of the website must also include the primary keyword which further must be separated with dashes. Step 5: The page’s content should be crisp and clear using primary keyword. Step 6: Call to Action should be added to the page to make the website user-friendly. Step 7: Through links, one page of the website should be linked to other pages. Step 8: Images of a page must be added with a file name. Subscribe to our blog to read more about latest Digital Marketing News and Updates. Get your website audited for free by our Experts.